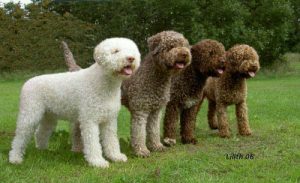 The Lagotto Romagnollo breed dates back to the 1600’s in Italy. They were originally bred as a hunting breed to assist in the retrieval of coots in the wetlands of Italy. 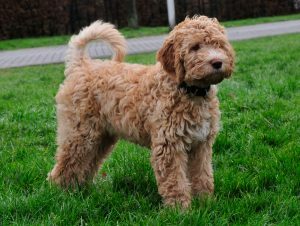 The medium sized, curly coated dog would work tirelessly retrieving the birds often breaking through ice to do so. After the wetlands had dried up in the 19th century, the dogs were taught to find and retrieve the valuable fungi truffles in the countrysides of Italy. This was made possible because the breed had a sharp aptitude for searching, a steep learning curve and an unbeatable sense of smell. The Lagotto Romagnollo is often compared the the Portuguese Water Dog because of the hunting ability and curly coat. 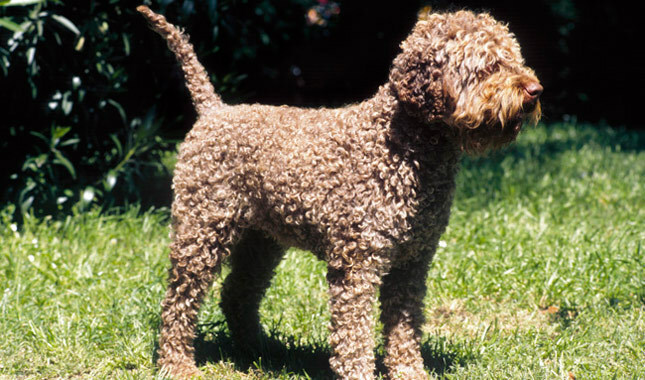 An interesting fact is the Lagotto is the only dog specifically bred to hunt truffles. The mid-sized dog adult weight will be 24 to 35 pounds. It is approximately 16 to 19 inches tall and has a life expectancy of 15 years. Coat colors can include more than one color of brown, roan, off white, white or orange. Lagatto Romagnollos very rarely shed because of their waterproof double coat and are considered hypoallergenic. Trimming the dog’s coat will be necessary but you won’t need to brush it very often. This breed are very intelligent and energetic dogs that love to play and swim outdoors, so it will be important for them to be part of a family. While the breed strongly bonds to its human family, it is best to socialize them at an early age because of their shyness. Once they bond and are socialized, the breed thrives best with lots of interaction. They are definitely an indoor breed that needs time outside to be well adjusted and content. As pointed out earlier they are active but not hyper, so the owner must be willing to invest and commit time every day to train them. The Logattos are a delight to train and are good problem solvers. Besides truffle hunting, their intelligence has allowed them to be trained to do search and rescue, participate in therapy work and game hunt. 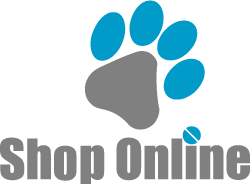 Their intelligence, jumping ability and drive make them ideal candidates for various competitions such as agility, tracking, obedience and nose work. Most are naturally drawn to water and love to swim. If you have a Lagatto Romagnollo or not, the Olsen Veterinary Clinic would like to be your hometown veterinarian. If we can be of service please feel free to call us at (618)-656-5868 or send us an email.